a kutya születési ideje: 2013.10.08. 2014.10.05.Atlantic Europica Varietas "Joey" (11months) was CAJC, junior BOB and got his Cruft's qualification today at international dogshow Pozsony! 1 éves a "KIS" csapat!!! Salgótarjan CAC Hungary, BABY BEST IN SHOW!!!!!! Thanks to the judges Papp Laszlo(RO) Bela Szabo.P and Lilla Telekes handler. 2014.04.Szilvásvárad 3* CACIB Show: 3* BEST PUPPY!!! BEST IN SHOW 4,BEST IN SHOW 1,BEST IN SHOW 3 !!! Puppy BEST IN SHOW !!! Atlantic Europica Varietas puppy BIS 1,BIS3!!!! 9,5 hónaposan Joey BEST of BREED & CROATIAN JUNIOR CHAMPION!!!! 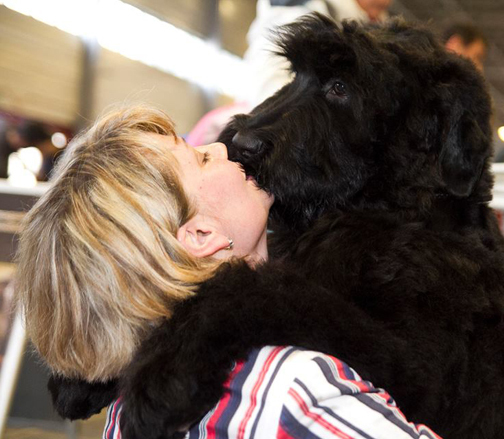 Atlantic Europica Varietas National Dog Show Herend Hungary 2014. HPJ,BOB,BOG I,Junior BIS III, R.BEST IN SHOW !!!!!!!!!!!!! Cacj, JUNIOR BOB,BOB,JUNIOR BEST IN SHOW !!!! HPJ, Junior BOB, BOB and he was selected in the best six in his group. 2day: HPJ, Derby Winner and BEST DERBY!!! JUNIOR EUROPEAN WINNER, JBOB and JBIG-2!!!!!!!!!!! Agne Gabaliene & Slávka Bis Iz Chigasovo!Thank you for this wonderful dog! A real treasure !